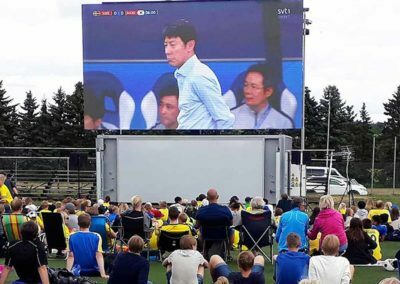 Mobile LED screen – main advantages. 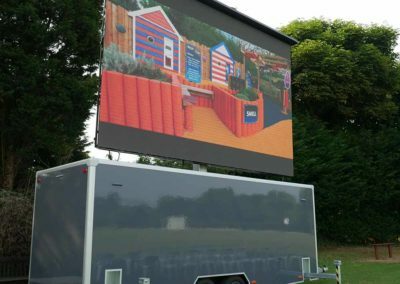 Mobile LED screen is a innovative solution for the AV industry. Provides unparalled mobility for your business. Instead of building entire structure to support your screen, you can simply drive it on the back of your vehicle. It’s easy in use – seamless operation. 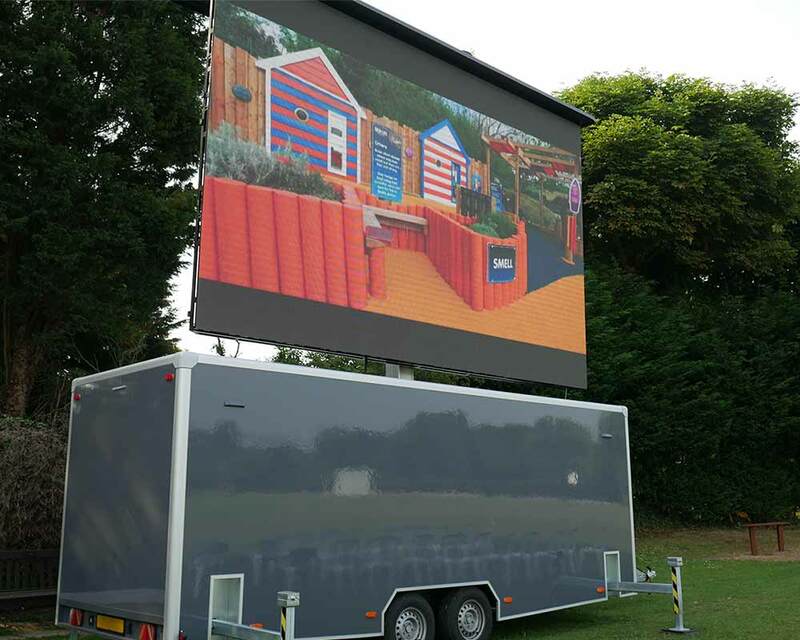 Our mobile LED screens are designed to provide maximum simplicity. Ready-made solution comes packed with features to improve your workflow. 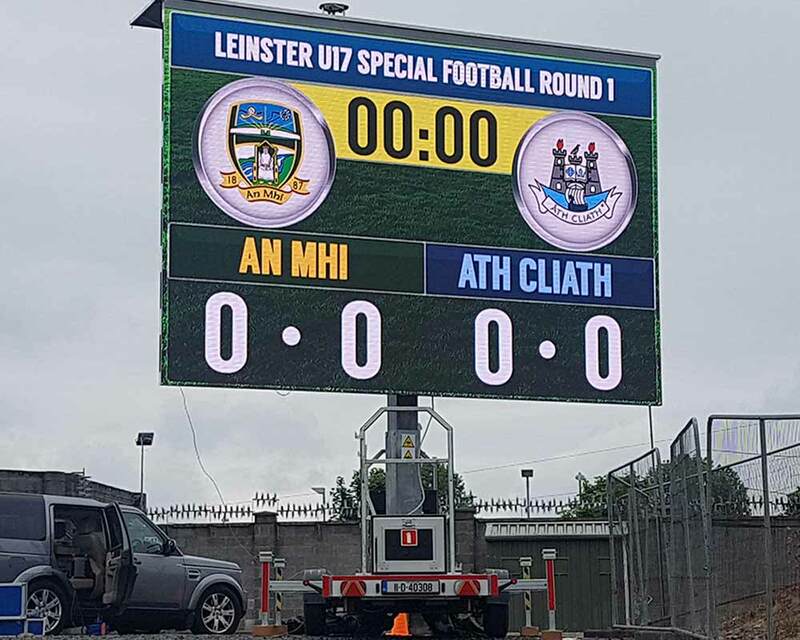 15 minutes to prepare the screen. Many events on your schedule? 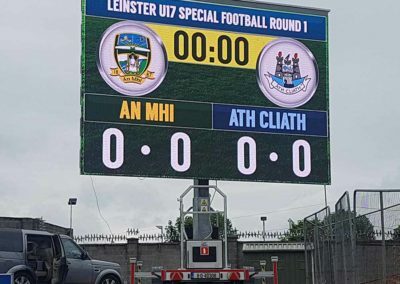 No time to lose? With our screens you won’t waste a minute. Within a quarter of an hour the whole setup is up and running! 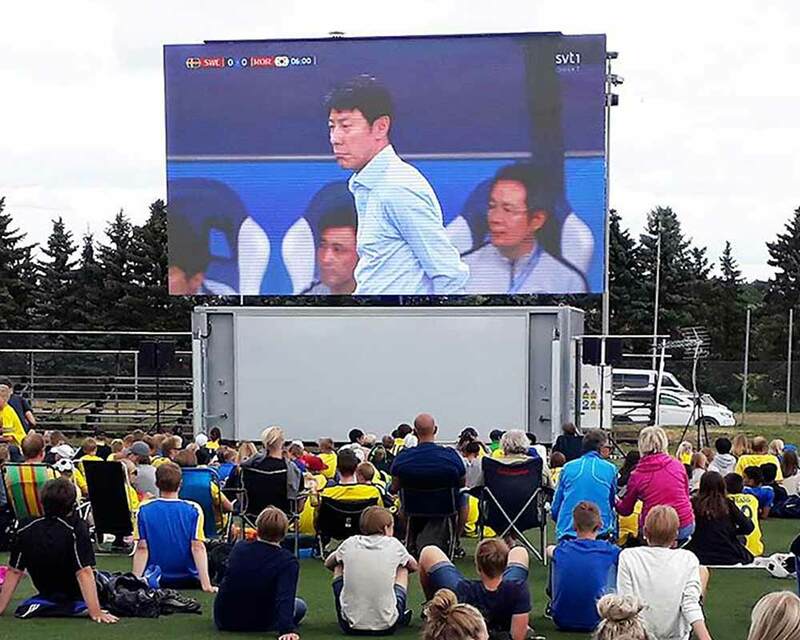 Need whole crew to prepare the screen? Forget about it. From now on, you need only one crewmember to unfold and maintain the screen during the entire event! Simplicity – one short training and you know how to use it. No special knowledge is required to use our trailers. After short introduction you will be able to use it within minutes. Remote controller makes it even easier! 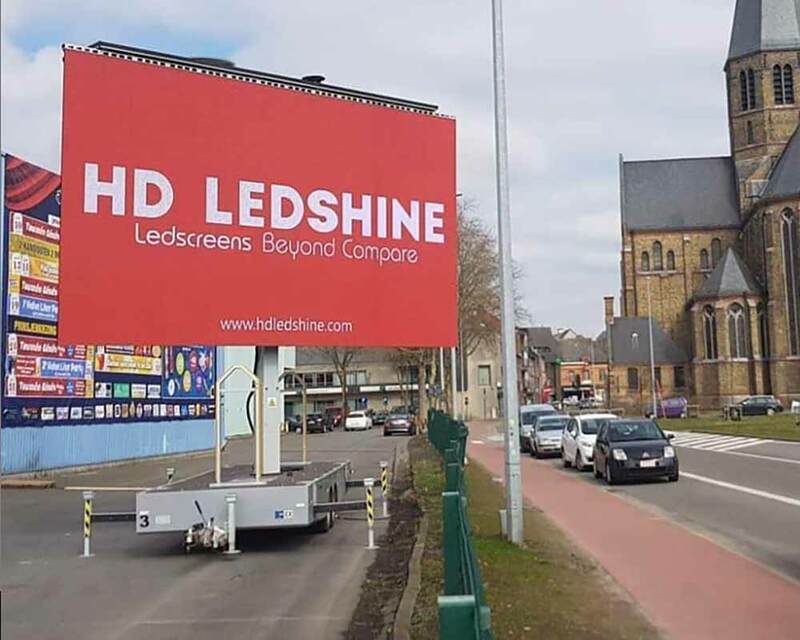 Reliability of the mobile LED screen. Failure is not an option for your audience, therefore you need a reliable solution. Longstanding experience allows us to build solid constructions that performs well even in the toughest conditions. Build according to a strict standards. Above all else our products needs to be secure. Load-bearing frame is custom made to be fully compatible with installed screen. This approach guarantees absolute safety. Optional wind sensor sounds the alarm when the wind speed exceeds 33 mph. Our experience with the hydraulics. 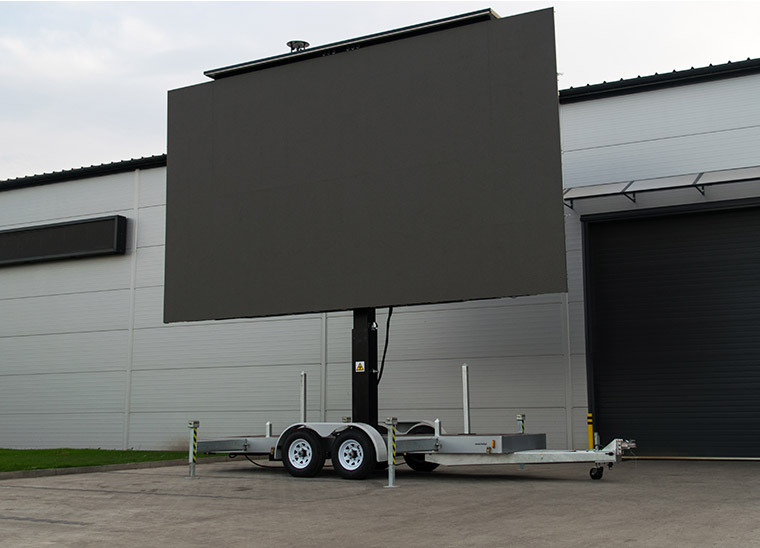 Mobile LED screens wouldn’t be as good without reliable hydraulic systems. Throughout the years we’ve gained a massive experience in that area. Proper maintenance ensures years of failure-free operation. An example of our realizations in the whole world. We’ve got clients all around the world. As a result our products are being shipped even to the most remote locations. Worldwide customer service assures worry-free operation. Due to compact size, smaller platforms are great for digital signage. Can be used as a roadside signs or billboards. Excellent choice for all kinds of events and concerts, thanks to enclosed form provides safety for your screen and equipment. Especially useful in crowded areas. Our biggest screens are based on BDF containers. Might come in handy in fan zones likewise all kinds of huge venues. Not yet available in US. Park your screen at the start line of a marathon to project the live coverage of the event. Later drive it to the finish line, well before the runners and display the results. 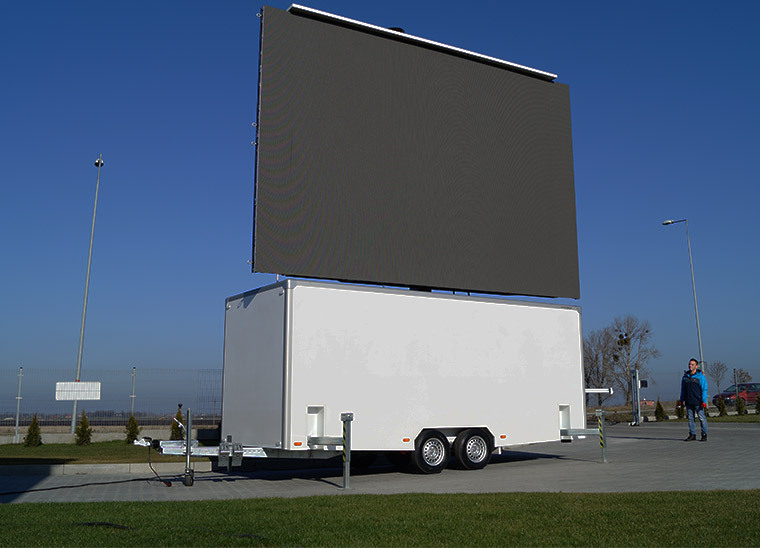 The popularity of LED screen trailers in Europe. Our mobile screens are sales hits in Europe. Widely recognised for advantages over classic solutions. Designed and build in compliance with German standards. Hence our units are certified by TÜV Thüringen and TÜV Süd. 32 trailers in Germany only. German market is really demanding. Numerous providers competing on cost and quality makes it even harder. Despite that our trailers are widely recognised as a quality products among German clients. In recent years many customers decided to expand their fleets. As a result some of them are regularly coming back to pick up new units. Clients can actively participate in the process of design! 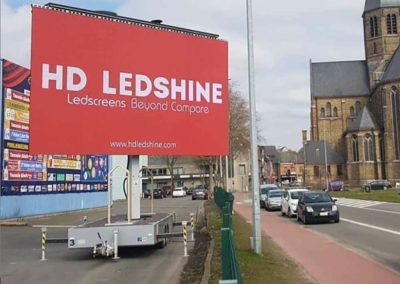 LED screen trailers for the US market. Because of numerous inquiries from the US, we decided to expand our business to America. All trailers are fully approved by US DOT and prepared for registration. You can collect your trailer directly from our US Dealer. Hydraulic lifting and 360 deg rotation comes as standard. Most noteworthy, you can set up your screen in any given position. Lightweight construction is certainly one of a key advantages. Enclosed form to ensure maximum protection for your screen. Optional video room provides comfortable conditions inside. Unique design will certainly impress your audience.